People are increasingly drawn to Madrid. The capital of Spain is starting be a city that can hold its own against other cultural capitals, in terms of both cultural interest and important museums. So what are the most essential museums to see in Madrid? 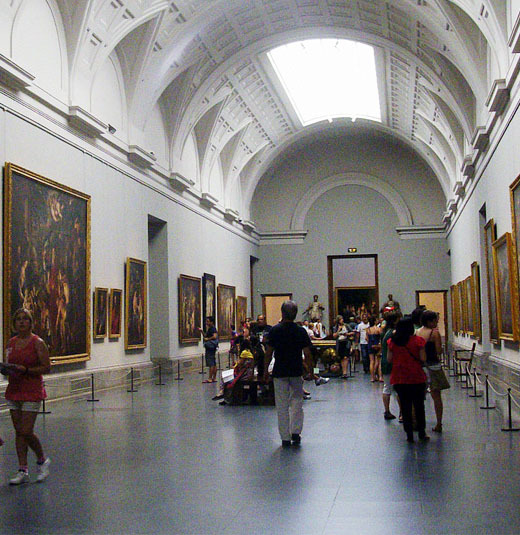 Museo del Prado: Don’t miss the chance to stroll through one of the best art galleries in Europe. The Museo del Prado was inaugurated in 1819, and in its almost two centuries of history, it has compiled over 27,000 referential works of art within its walls. It also includes an amazing collection of works by Spanish artists like Goya and Velázquez. Museo Nacional Centro de Arte Reina Sofía: More commonly known as the “Reina Sofía” it has an amazing collection of modern art including works by Dalí, Juan Gris, Joan Miró and of course, Picasso. In fact if you want to see Picasso’s masterpiece, Guernica, you’ll have to come here. Museo Thyssen-Bornemisza: This museum houses a wonderful private collection that allows visitors to stroll through different periods in art history. Flemish and Italian masterpieces and modern art stand out among the collection. National Archaeological Museum of Spain: Recently reopened after remodeling that took six years to complete, this museum is all the rage this season. Its biggest draw is that it knows how to mix modernity into its exhibitions and technology with some of the most ancient pieces in our history. Museum of Romanticism: This small, charming museum is home to a nice collection of works, furniture and decorative pieces from Spain’s romantic period, a tumultuous period both politically and culturally. Of course there are many other museums in Madrid that we encourage you to see. A trip to the city dedicated to seeing its art collections, natural history and even geology museums can keep you more than entertained for the whole trip.